A role play exploring the issues around taking stem cells to the clinic. The scenario is an open public hearing of a research ethics committee, to decide on granting a licence for a clinical trial using human embryonic stem cells to treat spinal cord injuries. Participants role play members of the committee and different stakeholders in the audience, and in doing so engage in debates on the scientific and social issues surrounding stem cell research. Recommended by Scottish government agency Learning and Teaching Scotland as a tool for National Qualifications support. This resource is also available in Spanish and Gaelic. to involve people in the debates on the scientific and social issues surrounding stem cell research. An Open Public Hearing of a Research Ethics Committee, to decide on granting a licence for a clinical trial using human embryonic stem cells to treat spinal cord injuries. Students will role play members of the committee and different stakeholders in the audience. Students will be provided with background information on stem cells and spinal cord injury, as well as short biography cards for their characters. The role play can be sound recorded, to listen back to when evaluating. Year 11, Sixth form and undergraduate students (ages 15+). Previous Biology courses are not an absolute pre-requisite; the role play may be carried out in Biology, Modern Studies, Personal and Social Education or Religious Education classes. After completing the role play, participants should have a better understanding of the basic scientific concepts underlying stem cell research. However, the main objective of this resource is to be an exploration of the social issues around stem cell research. It is therefore not a traditional educational package in that it has not been developed to teach the students science or social research methods. Why use embryos for stem cell research? What about tissue (adult) stem cells? What are the risks involved, compared to the benefits? May this type of research make human cloning more likely? Where should we draw the line? Who will own the results of the research and/or the medical outcomes: scientists, companies, the government, you and me? Who will have access to the medical benefits that are promised? How does competition between scientists affect research? "I would recommend this role play as it gave me an insight into the application for a clinical trial process and background into stem cell research. A very fun way of learning." "I liked that as many as 10 people were involved in the discussion and that all possible views were represented. It was very interesting and encouraged a deeper understanding of bioethics." "We enjoyed it thoroughly, continuing on the discussion at home that night. It really made me aware of aspects I had overlooked, it was enlightening." Who’s who in the role play? Ten participants are recommended. A minimum of 8 participants is necessary. Allocate roles to the participants; distribute biographies. Elect Research Ethics Committee Chairperson. Participants can prepare for the hearing by reading the information that they have received and/or view the films ‘A Stem Cell Story’ and 'Conversations'. They are also encouraged to research the character they have been assigned, for example, using this website. The REC announces its decision. Audience reacts to the decision (20min). Participants come out of character for discussion and feedback (20-30min). All groups (participants and ‘real-life’ characters who have run the role play) come together informally, in a non-hierarchical setting, to discuss common issues raised by the role play. Participants and facilitator(s) will be asked to fill out short questionnaires which will feed back into any changes made to the role play. All feedback and the decision reached by the Research Ethics Committee will be published on the EuroStemCell website. 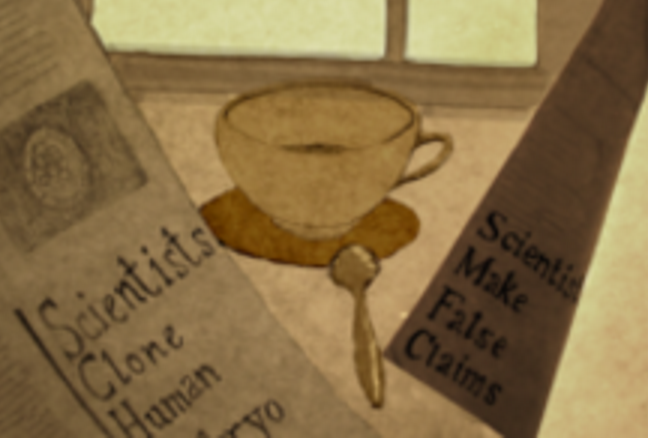 This role play was developed by the Institute for Stem Cell Research and Innogen (ESRC centre for social and economic research on innovation in genomics), at the University of Edinburgh, with support from the Scottish Stem Cell Network and a Moray Endowment Fund award of the University of Edinburgh. It was further developed in 2011 by REMEDI at theNational University of Ireland Galway through EuroStemCell. Many scientific reviewers enabled this work to be updated and accurate. Special thanks to Oliver Brustle, Manal Hadenfeld, Goran Hermerén, Lars Nolden, Nicolas Madigan, Aaron Liewand Stephen Elliman. Ready or not? A role play on taking stem cells into the clinic by EuroStemCell is licensed under a Creative Commons Attribution-NonCommercial-ShareAlike 3.0 Unported License. Based on a work at www.crm.ed.ac.uk. For permissions beyond the scope of this license, contact us.